The National Association of Nigerian Students (NANS), invited Bar. 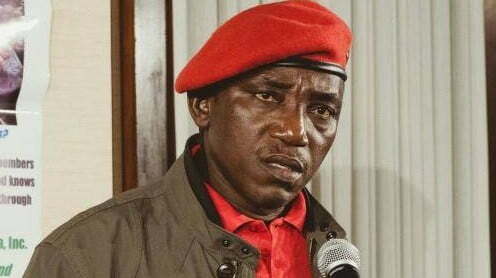 Solomon Dalung, Minister of Youth and Sports Development, not to interfere with the forthcoming elections of the fourth session of the Nigerian Youth Parliament. Comrade Azeez Adeyemi, the NAN public relations officer issued the warning while addressing journalists on Tuesday in Abuja. Adeyemi has called Dalung on his constant and undue interference on issues concerning youth, especially the elections, citing the example of the National Youth Council of Nigeria (NYCN). Adeyemi warned that the student body would resist any attempt by Dalung or other ministry officials to interfere with their upcoming elections. He said: "The leadership of the National Association of Nigerian Students wants to use this medium to call the Federal Ministry of Youth and Sports Development and the Minister, Bar. Solomon Dalung, not to interfere in the election of leadership. of the Fourth Session of the Parliament of Young Nigerians. "As an intellectual component of youth demographics, we will resist any attempt by the Minister or any ministry official to influence the electoral process of leadership in this fourth NYP session design that will be inaugurated next week. "We frown at the level of ineptitude that Bar. Solomon Dalung has exposed in the administration of young people in this country. Adeyemi also warned the ministry's leadership not to impose any candidate on the Youth Parliament. "Just think of the references to the texts of the legendary Michael Jackson who warns us to" Heal the world "and draw the juiciest milk from the bosom of universal humanity. "Attorney Solomon Dalung, the Permanent Secretary and all senior officials of the Federal Ministry of Youth and Sports are urged not to impose any command at the Fourth Session of the Nigerian Youth Parliament," he warned.